There is a trend calling for a closer cooperation between medical professionals, health professionals and fitness professionals. Many conditions presented by a patient can be referred to a qualified fitness professional, click here for a list of conditions. 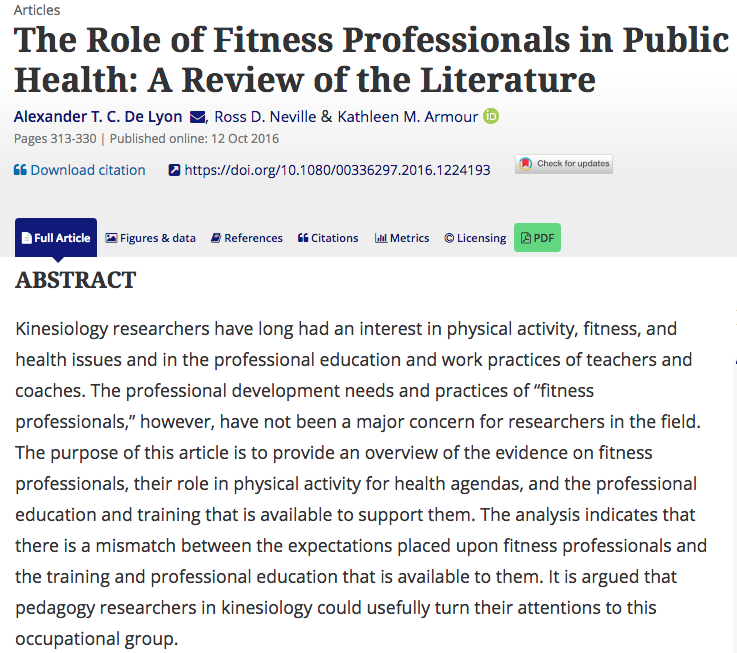 A report published October 2016 – The Role of Fitness Professionals in Public Health – an 18 page report makes the case for the role for fitness professionals in public health. Click here to access the report.